Let’s be honest. There are a lot of “Sunday Quiet Books” out there. So, what makes this quiet book so much better than the other ones? Well, for starters, it doesn’t require a sewing machine. Halleljuah! I can’t think of a better way to uplift the mayhem in my life than by simply using my sewing machine on an “as-needed” basis. 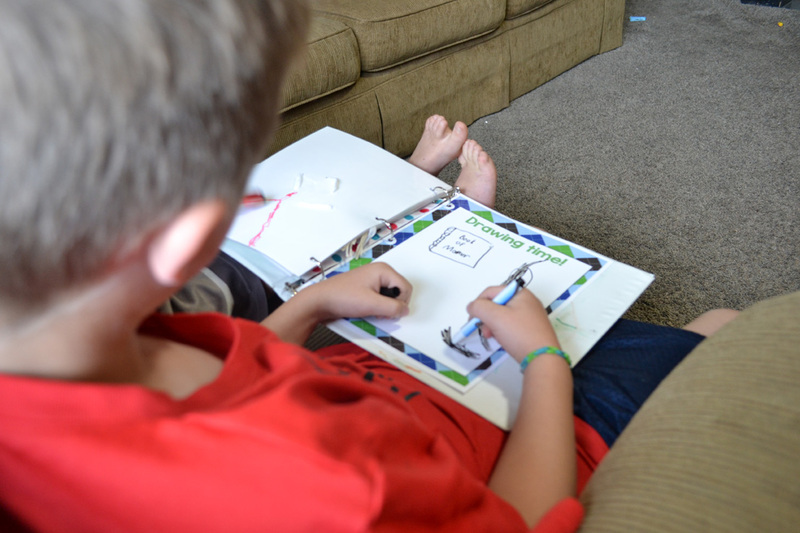 So, for the busy mother who wants a simple, inexpensive, do-it-yourself quiet book that will keep your little champs occupied for more than 5 minutes at a time, then this blog post is for you! 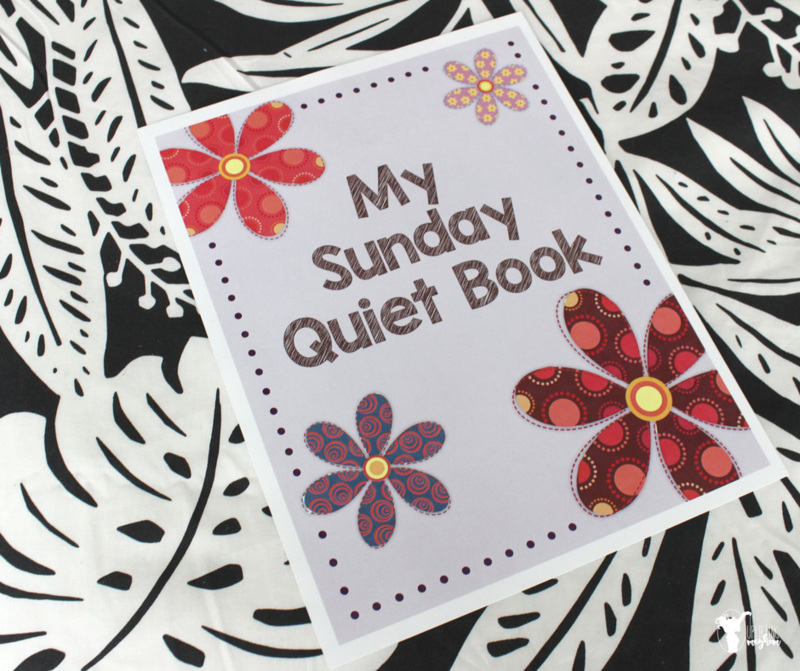 I originally designed this quiet book about five years ago when my oldest was only two years old. Since then it has taken a beating, so I had to spruce it up a bit and do some fine tuning. That way all you’ll need to do is click print and assemble. So let’s get started. Here’s a list of everything you will need to complete your book. Many of these items you’ll probably already have lying around at home, but if by chance you don’t have an item or two, just click on the links below for each item to buy them easily online. 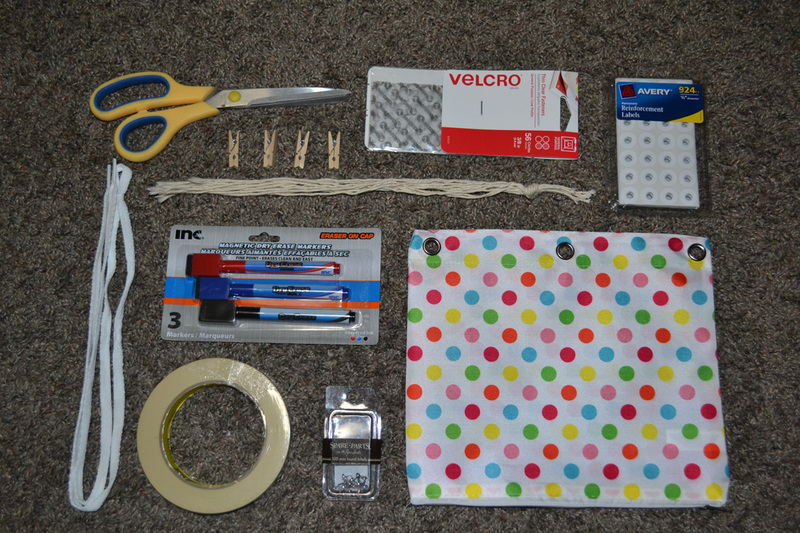 You may even have extra supplies when all is said and done, so you might as well make two while you’re at it. These make awesome baby shower gifts. Nothing shows you care, more than a handmade present from the heart (little will they know how easy it was to make). Once your have printed and laminated your Busy Book pages, you’ll need to cut out the individual pictures that correspond with each page. This part is the most time consuming, but I was able to cut everything out in about a 1/2 hour. There are 55 individual pictures that you will be cutting out. This is the funnest part because you get to see everything come together. Although, most of the assembling is pretty much self-explanatory, I’ll highlight a few specifics that will help you throughout the process. Velcro. 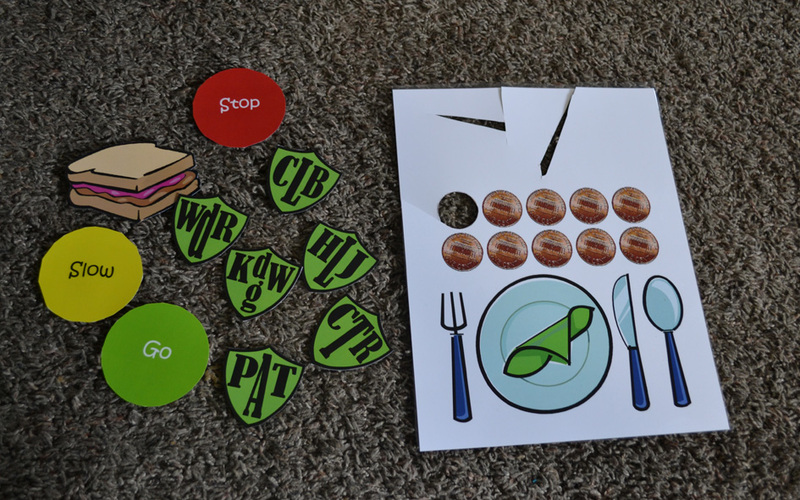 Attach a small piece of Velcro to the applicable pictures on the following pages: Stop and Go, Choose the Right, Match the Shapes, Set the Table, Pay your Tithing, Count to Ten, and Finish the Picture. You can also use poster tack instead of Velcro. Twine. Cut about 15-20 pieces of 10″ twine and tie a knot at the end. Then, punch a hole towards the top of the Braid the Rope page and feed the twine through the hole until the knot is on the opposite side of the page. Tape the knot down with some masking tape. Shoelace. Punch six holes on the Tie your Shoe page (see picture) and thread the shoelace through forming an “X” on the bottom four holes. Bring the two ends of the shoelace up on the last two holes and it’s ready to tie! Clothespins & Twine. Punch two holes on the Hang the Clothes page on opposite sides near the trees (see picture) and thread a piece of twine through so it resembles a clothesline. Simply clip on the four clothespins and you’re set. Brad. Use a push pin to punch a tiny hole through the ends of the hour and second hands on the What Time is It? page and then attach the brad through the middle of the clock. Pencil Pouch. Insert all of the finished pictures that you cut out into the pencil pouch for safe keeping until your child is ready to play. 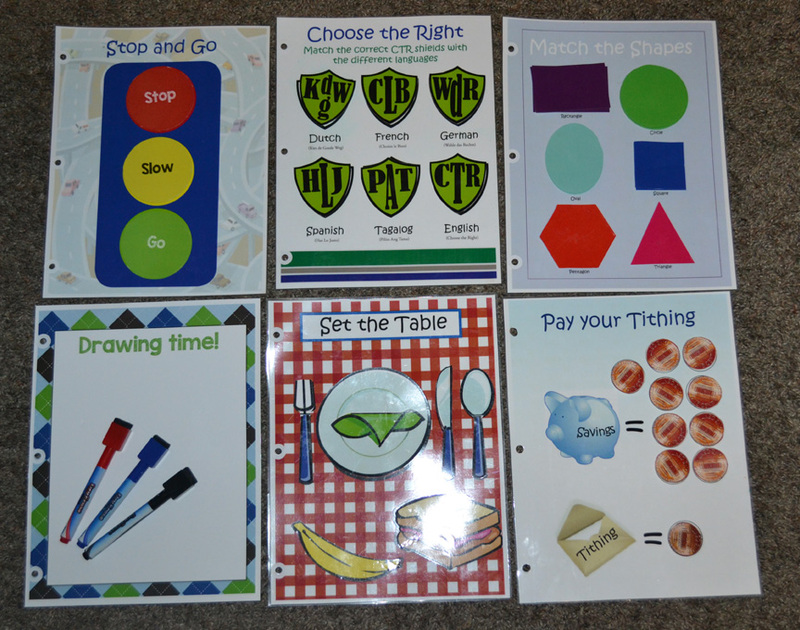 Originally, I had an envelope attached to the back of each page and inserted the corresponding pictures but it became a little bit cumbersome for my kids to keep them organized. So, now I just throw them all together in the same pouch and it’s much easier. Personally, my kids love playing with this Quiet Book every Sunday when we go to church. I like to keep it in a safe place during the week and only allow my kids to play with it on Sundays so it is new and exciting every week. 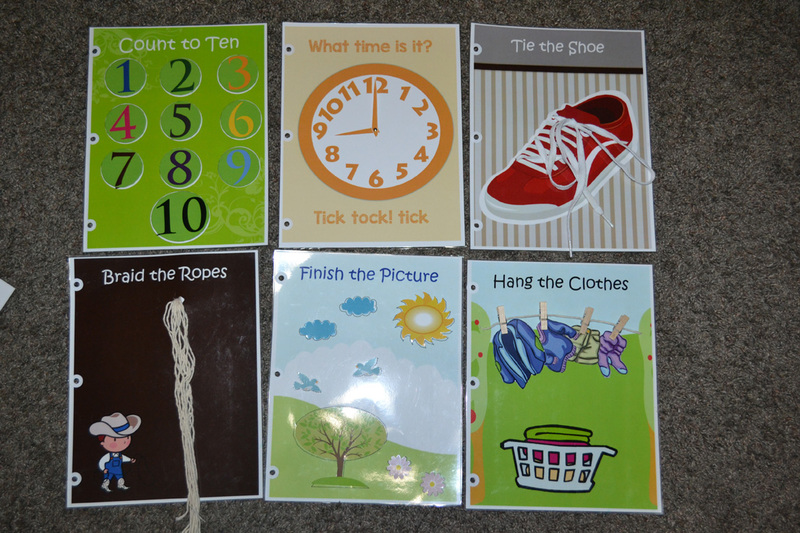 The pages are also perfect and educational for a wide variety of ages from age 2 up to 12! I hope you enjoy this book at much as I do. Click on the free printable link below to get started today! How YOU can Accomplish ANYTHING!